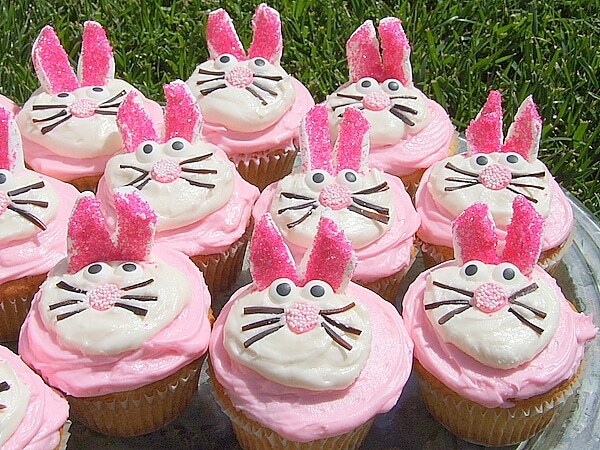 When I saw these Easter Bunny Cupcakes on Betty Crocker, I was quite certain I could jazz them up a bit to make a delicious Easter treat that would appeal to adults as well as children. The “eyes” are from a cake decorating shop. If you have trouble finding those, you can sub anything small and round- snip off the end of a blue jellybean, etc. The noses and whiskers I was able to find in my market’s bulk candy aisle- the pink noses are those little chocolate chip-shaped dream mints (again, use whatever works for you.) The black whiskers are skinny black licorice, which was still a tad too thick so I cut them in half to make them thinner. You could also use brown or black sprinkles. 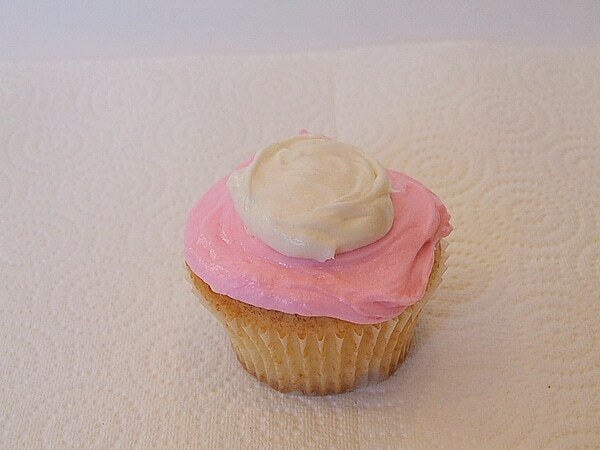 Frost a cupcake with pink frosting. Spread a circle of white frosting in the middle. Cut the marshmallows in half, and then cut almost in half again to make the ears. Dip the sticky (cut) part in pink sugar to create the inner-ear color. 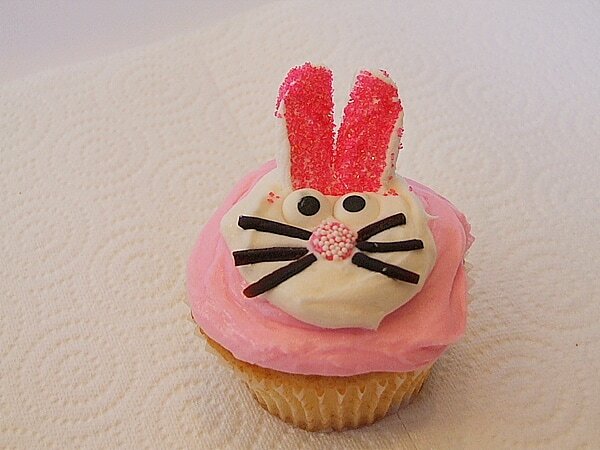 Finish decorating the face, and there you have it… little bunny cupcakes that kids go nuts over! But don’t be fooled… adults like them too 🙂 The cupcake tastes a bit like angel food cake, and the frosting is a yummy cream cheesy buttercream. Prepare cupcakes: Preheat oven to 350°F. Line two 12-cup cupcake tins with cupcake liners. 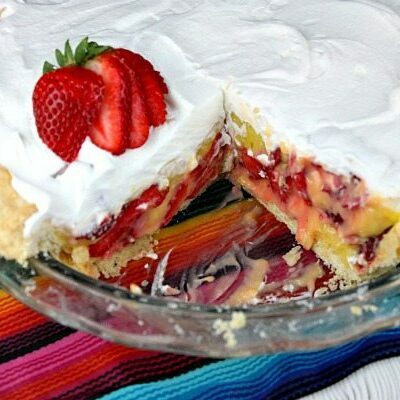 Beat all ingredients at low speed with an electric mixer just until dry ingredients are moistened. Increase speed to medium, and beat 2 minutes or until batter is smooth, stopping to scrape bowl as needed. Coat paper muffin cups with cooking spray; spoon batter evenly into baking cups, filling each two-thirds full. 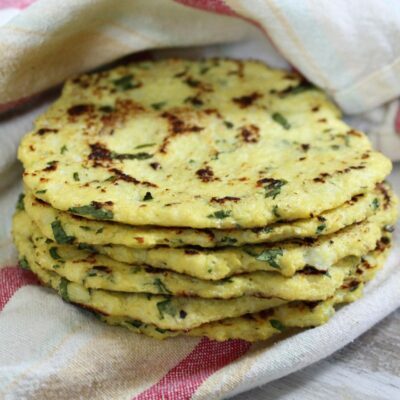 Bake for 25 minutes or until a wooden pick inserted in center comes out clean. Cool in pans on wire racks 10 minutes; remove cupcakes from pans to wire racks, and cool 1 hour or until completely cool. 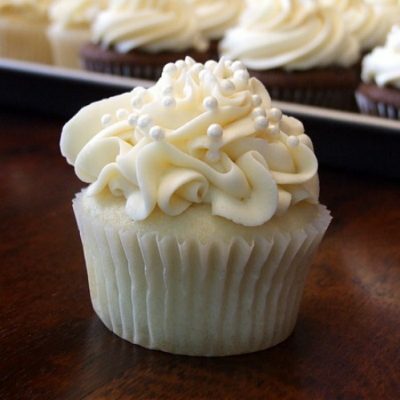 Prepare frosting: Beat butter and cream cheese at medium speed with an electric mixer until creamy. Gradually add powdered sugar, beating at low speed until blended. Increase speed to medium, and slowly add milk and vanilla, beating until smooth. Split the frosting into two bowls. 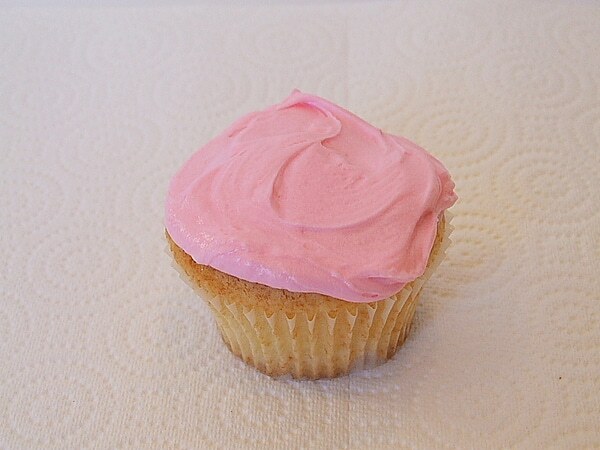 Stir a few drops pink food color into 1 bowl of frosting. Frost cupcakes with pink frosting. Spoon 1 heaping teaspoonful of white frosting on the center of each cupcake. 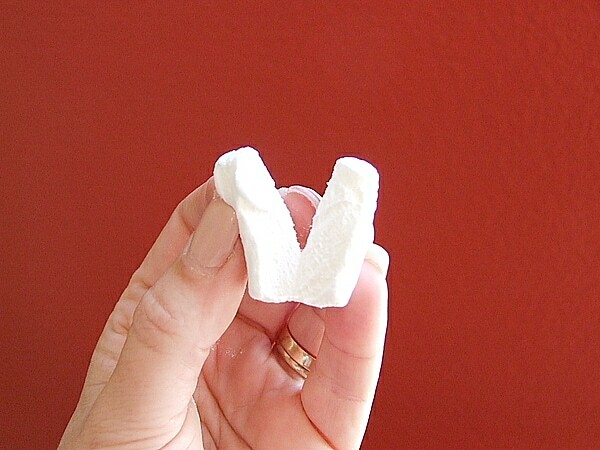 To make ears, cut each large marshmallow crosswise into 5 pieces with kitchen scissors. 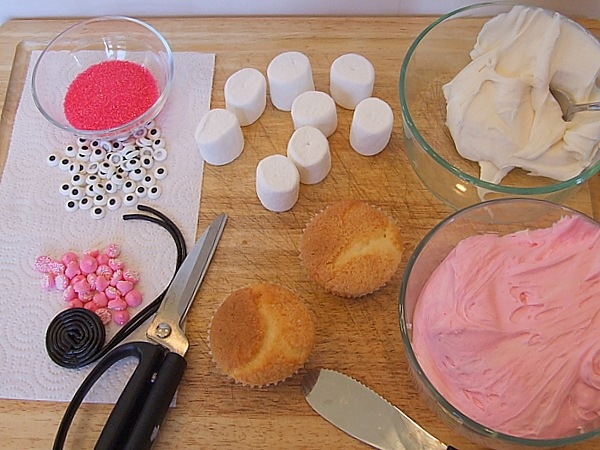 Using scissors, cut through center of each marshmallow piece to within 1/4-inch of edge. 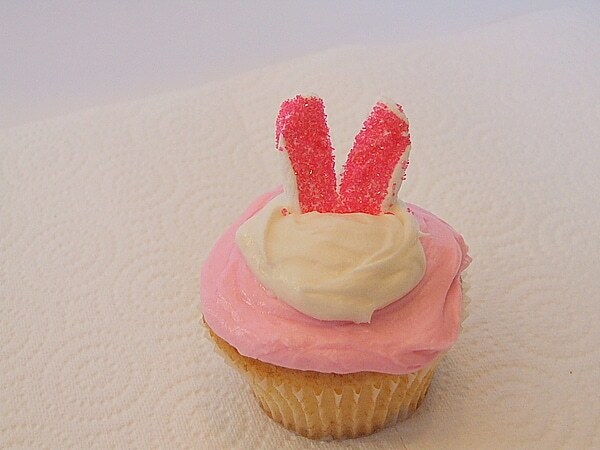 Separate to look like bunny ears; press 1 side of cut edges into pink sugar, flattening slightly. 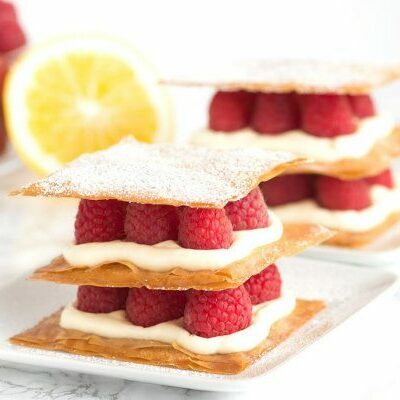 Arrange on each of the white frosting mounds as shown. Use candy decorations and sprinkles/licorice pieces to make eyes, nose and whiskers. 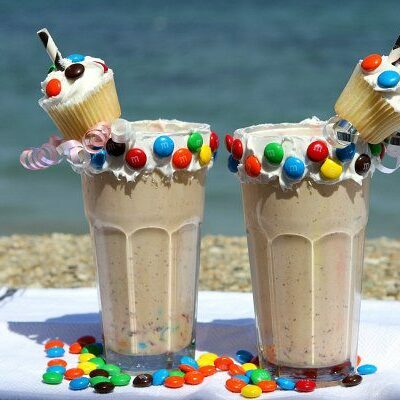 You can certainly use any white cupcake recipe that you wish for this. To save time, use tubs of white icing and just color those. These are just too cute. They made me really smile when I saw them and I knew then that they were keepers. My granddaughter is visiting this year for Easter and we will have a lot of fun making the adorable little bunny cupcakes. Thank you for sharing your idea version, I love it! They turned out so cute!!! I love the pink-sprinkle ears! We were on the same wavelength today! These are too cute Lori, I just added a link to them at the end of post! 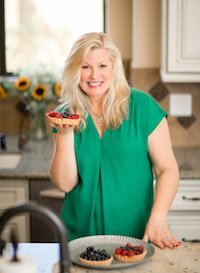 Recipe Girl, you used to have a “save” button to click and save recipes for my box. I do not see that anymore. What happened?? Love these cuties Lori!! Perfect Easter treat! 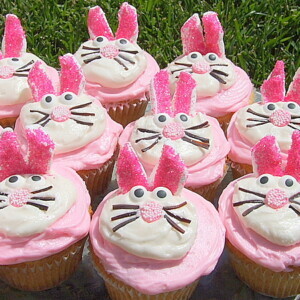 I found your blog off of a google search for bunny cupcakes! My daughter’s birthday was yesterday and we made these as she is head over heels in love with bunny rabbits. They turned out so wonderfully and the cake recipe was totally awesome. 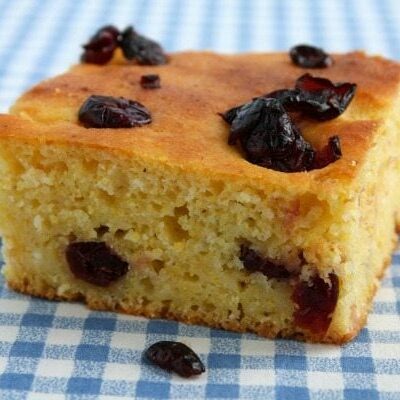 It will be my go to for cake now! Thanks so much. LOL, too cute. My grandmother used to make us bunny sugar cookies and frost them w/cherry canned frosting and then top the ears w/coconut. We were kids and didn’t know any better back then but I still miss those cookies. Your bunnies reminded me. That’s so creative and cute! You make it look so easy with your great step by step instructions. Thanks! 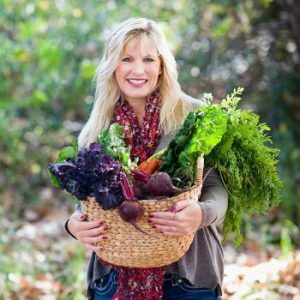 recipe girl, you are a regular Martha Stewart. those cupcakes are precious. Happy Easter!